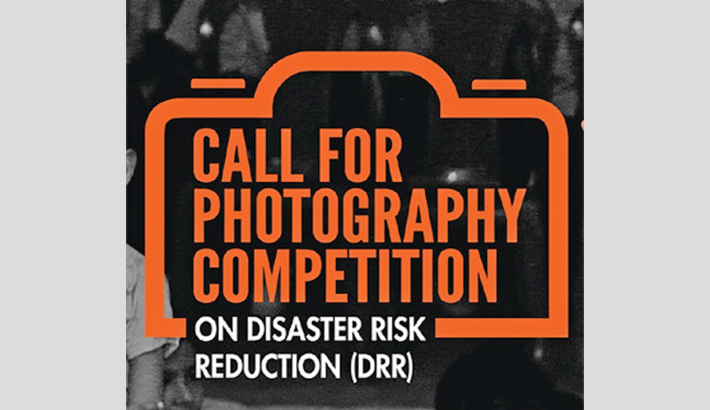 A photography competition on Disaster Risk Reduction (DRR), the first ever in Bangladesh, has been launched recently in the capital with a view to raising awareness on disaster preparedness. Dhaka City North Corporation (DNCC) and SEEDS Asia, a Japan-based organisation, initiated the photography competition titled "Tell Us Your Story" opened to professionals and amateurs. The deadline for submission is January 15, 2018, reports BSS. A panel of judges will select the best photographs which will be exhibited at a three-day photo show at Bishwo Sahitto Kendra in the city from February 9 to 11, 2018. The exhibition will also feature photographs by Japanese artists. The DNCC and the SEEDS Asia will present awards and certificates for 10 selected artists. The best photographs of the competition will also be exhibited in Japan next year. The competition is divided into three categories - students, armatures and professionals. Photographs will cover DRR in themes such as gender, children, environment, preparedness, science and technology, school and home. Competitors can send their photographs with a caption of maximum 100 words that tells a story through email [email protected] or dropping CD at the DNCC office at Gulshan Centre point in Gulshan 2. Project Coordinator of SEEDS Asia Miharu Sato said the aim of the event is to create public awareness through the capture of moments of innovative risk preparedness practices. "Photographs tell stories and this exhibition is going to be a venue to share and learn from each other`s unique perspectives of DRR that includes preparing for urban disasters such as earthquake, fire and waterlogging," she said. SEEDS Asia is a foremost DRR implementing organisation based in Kobe, Japan. It has a respected international experience in the Asia Pacific region with a special focus on strengthening urban resilience, community participation and DRR research.